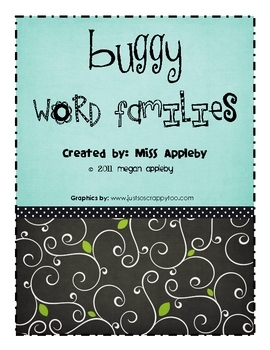 These cute word family mats will help young learners manipulate letter sounds to create words. The mats can be used as a literacy center or extra practice for students who have difficulty with a certain word family. 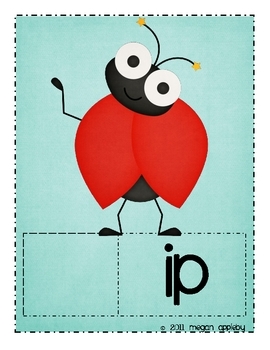 Included are 8 word family mats (-at, -an, -it, -in, -ip, -ig, -et, -en), a set of consonants cards (including th, ch, sh; not including q), and 2 recording sheets. 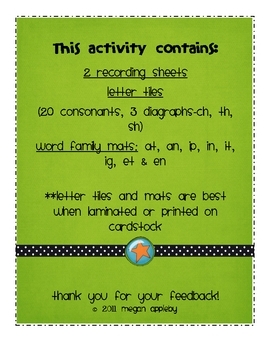 One recording sheet contains lines for students to write "real words" and the other recording sheet contains lines for students to write "real words" and "nonsense" words.